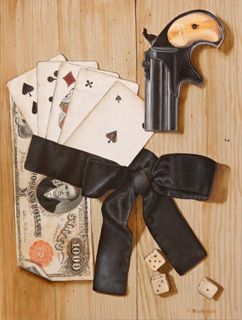 Aces and Eights is one of the pieces I will have at this show. It is 12 x 9, oil on board. Aces and Eights is known as the Dead Man’s Hand in a two-pair poker hand. The hand gets its name from the legend of it being the five-card-draw hand held by Wild Bill Hickok at the time of his murder (August 2, 1876). It is accepted that the hand included the aces and eights of both the black suits. There is still debate about what the 5th card was. My painting Redwing has been accepted into the Hubbard Museum’s Biennale Grande exhibition. 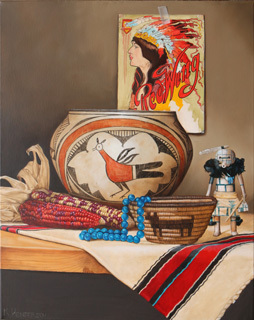 The Biennale Grande is a juried fine arts competition that seeks to recognize and honor excellence in the contemporary visual arts of the American West. R.D. 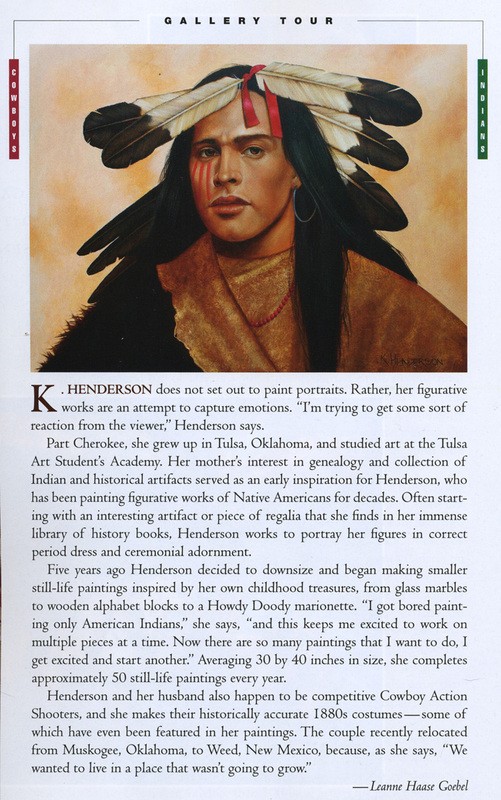 and Joan Dale Hubbard founded the Hubbard Museum of the American West in 1992, then presented it to the City of Ruidoso Downs, NM in 2005. It has grown from its original incredible collection of Anne C. Stradling’s Museum of the Horse to being a truly first class historic Western museum.